Eagle Lake Park is in the Highlands, one of thirteen communities that form the Capital Regional District of British Columbia. This neighborhood park in the District of Highlands has a small lake. Eagle Lake is one of many favorite swimming spots. The tea-colored water of the lake is feed by headwaters of Craigflower Creek and contains a few fish. A narrow sandy beach provides access to the waters of Eagle Lake on its northwest side. 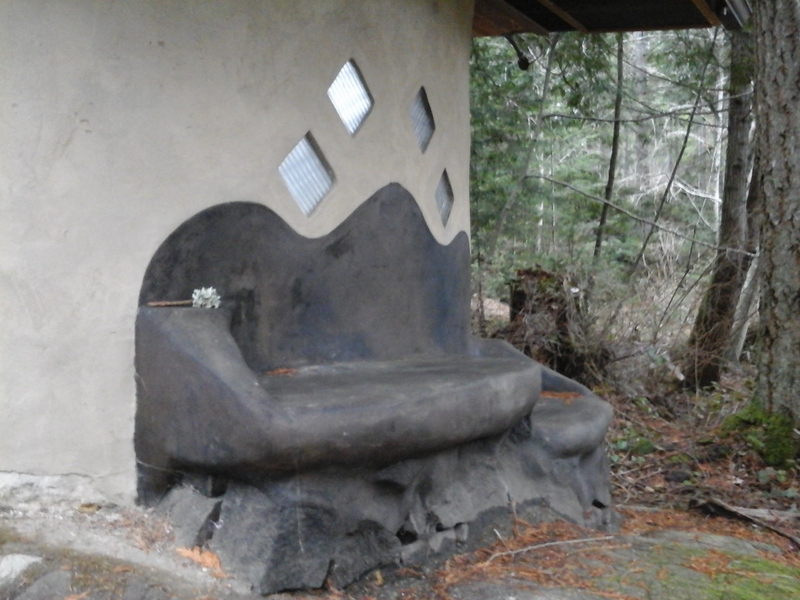 There is a rather unique composting toilet and bench near the beach. While most of the lake shore is part of the eight hectare parkland, there are some private homes and property on the waterfront. Eagle Lake Park can be a popular place on a hot summer day. If you continue to the end of Woodridge Place there is a trail that leads toward Mt Work Regional Park. Eagle Lake Park can be reached from the Trans Canada Highway. Exit onto the Helmcken Road Exit and head north; this is the same exit used to access the Victoria General Hospital. Stay on Helmcken Road until you can turn left onto Burnside Road West. Turn left onto Burnside Road West and continue to the junction of Burnside Road West with Prospect Lake Road. Notice the sign for Francis King Park; you pass through Francis King Park on the way to Eagle Lake Park. Continue along Prospect Lake Road until the junction with Munn Road. Once on Munn Road proceed with care on this very sinuous road to turn right onto Woodridge Place. There is a large grassy meadow near this junction which is private property. Follow Woodridge Place until you see the waters of Eagle Lake on the right. There is limited parking near the north side of the lake shore and restricted parking in the peaceful neighborhood. There is no bus service into this area.